As Ottawa Horror moves into it's 3rd year, we've decided we need a bit of a facelift. 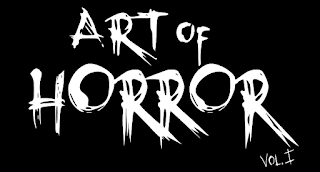 In the coming month or two, we'll be redesigning the site and adding our own webstore (so you can show the world your undying fanship of all things Ottawa Horror). From now until July 25th, 2010, send us your logo to sonsey@ottawahorror.com. On July 31st, 2010 we'll announce the winner. The winner will get bragging rights AND... a pile of free swag from our soon-to-be webstore showcasing your hard work. So get busy artists! If you're not artistically inclined, tell your artist friends, tell your siblings... hell, tell everyone!